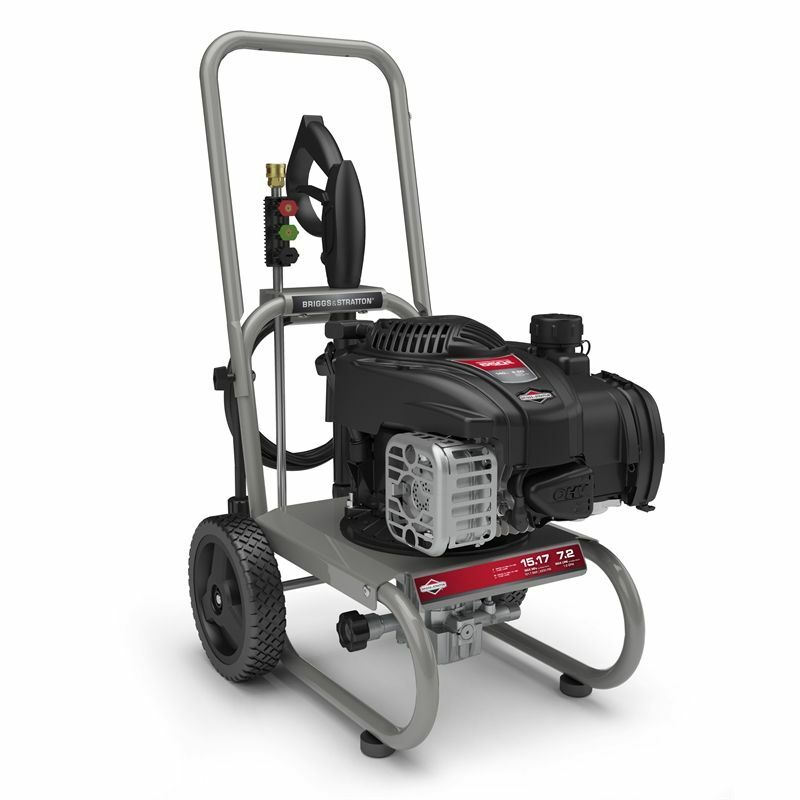 The Briggs and Stratton 2200PSI petrol pressure washer is a high quality product designed for domestic applications. Best suited for patio furniture, car, stairs, pavements and windows. Powered by a Briggs and Stratton 550E Series 140cc engine providing you with the right amount of power for jobs around home. Accompanied by the detergent injection system which significantly increases the cleaning power of the machine. Equipped with the ability to change between 3 nozzles for varied pressure rates to suit multiple cleaning tasks around the home. Utilising a lightweight axial cam pump to ensure you can easily manoeuvre the pressure washer around the yard.